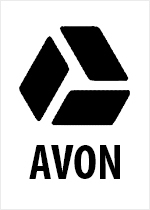 Avon is an imprint of HarperCollins. Avon was founded in 1951 as a competitor to the very popular Pocket Books Company. Back in the days when paperbacks were oly 25 cents each, Avon published paperbacks in a variety of genres, including Science Fiction and Fantasy. Avon was bought by the Hearst Corporation in 1959, which sold it to the News Corporation in 1999, merging it into HarperCollins. Agented submissions only; further guidelines available by sending a #10 SAE to Avon Books.